The Commander may research various technologies to make his team and their vehicles much more powerful. 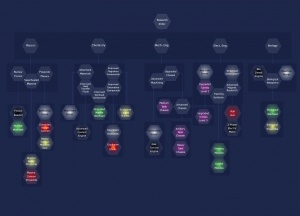 Following a traditional RTS-style tech tree, the progression through research is branched and varied. Two teams may take completely different paths for research depending on their play style. 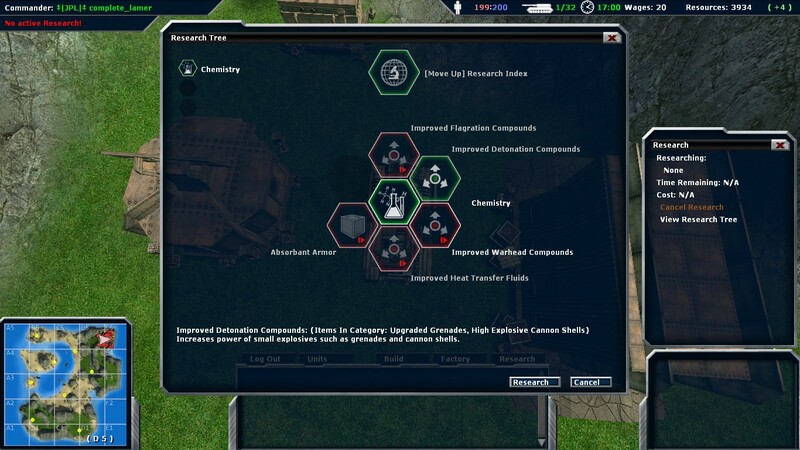 The best place for information on each tech is the Empires Mod Research Tree Appendix.